Authors on the Air has moved some things around on their web site. The underlined text in the body of this post is the new link for where you can currently hear the program where Mack Meijers interviews me about my work, Science Fiction in general, and lots of other stuff. The Widget on the right side of this page should continue to work as another way for you to hear this program. The people at the wonderful “Science Fiction Spotlight” podcast program put together stunning trailer for the upcoming interview with me. It works out more as a trailer for the books than for the program. I have to say that it really blew me away. I literally got chills. Give it a watch, if you would. 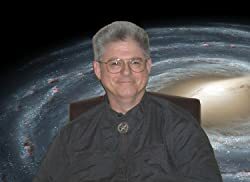 I spent about an hour and a half today on Skype with Mack Meijers, the host of a podcast program called “Science Fiction Spotlight.” The interview will air in the next few weeks and be permanently available for listening. We talked about my two existing novels, my upcoming book. Science Fiction, the creative process, and lots more. It was a fun discussion with an insightful, well-read, and truly intelligent interviewer. As soon as the air date and the listening URL become available, I will post them here and on my Facebook pages. Many authors talk about these kinds of interviews as being grueling, but I genuinely had a good time. It was very much like one of those college bull sessions where you and a friend happen to blunder into a topic about which you are both deeply interested and both have a lot of knowledge. We could have talked for hours and, after the interview was over, actually continued talking for another half hour. I’ve listened to some other episodes of this show, and they are all very enlightening. Mack Meijers could easily be a Science Fiction literary critic–he sees into the bones and sinews of people’s writing. Anyway, URL and air date for the show coming up. I hope all of you give it a listen.